Dan K returns to JCH with the first of a 3 part series, introducing film to digital photographers. In this first part Dan tackles the camera types available for film shooters. In a previous article, I described how film and digital capture can coexist and even complement each other. Despite the digital revolution, some stalwart film photographers never gave up shooting film and today many digital photographers are discovering or re-discovering the joys of film photography anew. As even the keenest digital enthusiasts may have only the vaguest memory of film, in this series of articles I will discuss how digital shooters can take advantage of film emulsions, processes and gear. I’ve written this article for experienced enthusiasts, so I haven’t avoided some of the complexities of the topic, nor its associated jargon. At the same time, this summary hardy scratches the surface; there’s a lifetime of learning to be acquired. It’s a Quick Start guide. I will start by recommending cameras types and systems. In later articles, I will discuss different emulsions and how the peculiarities of using film as opposed to digital. I would tell most newcomers to start simple and cheap, but Japan Camera Hunter’s readers are neither newcomers, nor do are they simple and cheap. Instead, I suggest you start with sophisticated, high quality gear that enables and inspires you. This generally means that modern cameras are best suited. Camera technology evolved to take the burden of calculation and estimation away from the photographer, so it makes sense to start with modern systems and work back in time as your skills and knowledge improve. If you are already an advanced photographer, then pick something that suits your style and technical requirements. I will start with automated compact cameras and work my way back to large format bellows cameras. One easy way to get a taste of film photography is to buy a compact camera. This requires relatively little commitment of capital, as the price of all but the very best and rarest have tumbled after digital cameras took over. Don’t knock compact cameras till you’ve tried them again. When I used them in the 80’s and 90’s I was always disappointed, but then I was using what I now know to be the wrong cameras, cheap emulsions and my photographic skills have since improved. A modern compact camera has not only auto focus, but sophisticated metering, high quality optics and offers the level of control that you might expect from a DSLR. Furthermore, as the film is the same, a compact camera can produce much the same image as an SLR or rangefinder camera. When selecting a compact camera, pick the best. Avoid basic consumer models and zoom lenses. The best lenses were the multicoated, multi-element, fast prime (non-zooming) lenses. The Contax T2 and T3 are probably the pick of the bunch for quality and control. I prefer the larger T2’s control layout, but the T3 can force the lens to shoot wide open, whereas the T2 cannot. These cameras have rugged titanium shells that can hide serious internal damage, so a careful buyer inspection is necessary. 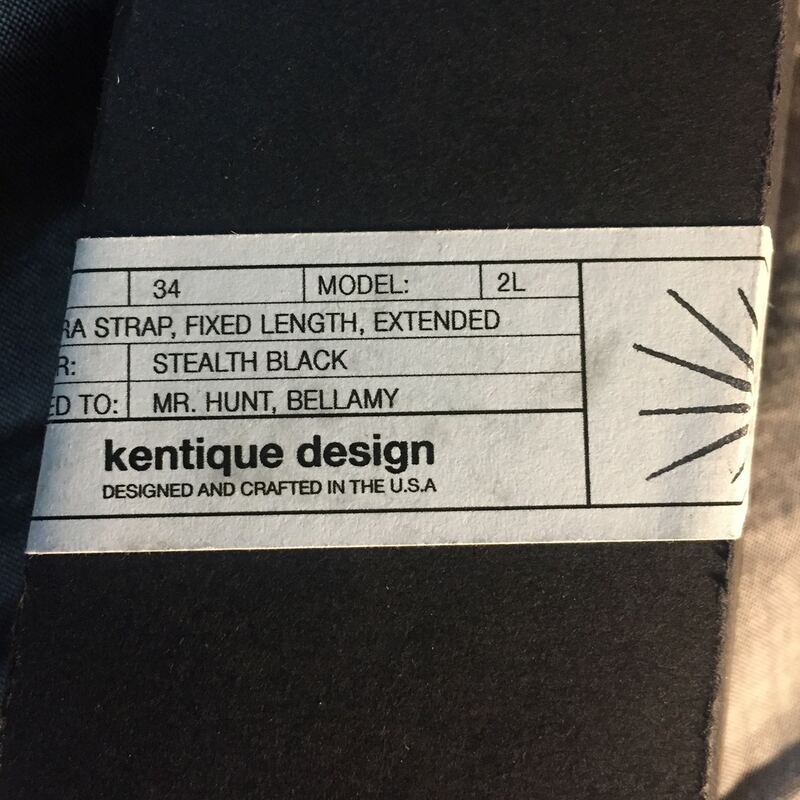 If size is not a consideration, the stealthy and sophisticated Hexar AF would be my all-round favourite. If you buy one, search on-line to find out about the hidden features not listed in the manual. The black “Classic” model is better than the newer Silver model. The Nikon 35Ti and 28Ti are gorgeous and offered matrix metering, but were failure prone. Check that the LCD and needles work and everything works. The Ricoh GR1 series are super compact and slip into jeans’s pockets, so tend to get carried a lot. The GR1V especially has superior control and ASA override. The GR21 has a characterful wide lens. On Ricohs, the LCD tends to go first and can’t be fixed as far as I know. The Leica Minilux and its successor the CM are desireable, controllable, but not so affordable. Buy the Minilux prime, rather than the more expensive CM as the CM’s control wheel is easily knocked off setting in your pocket. 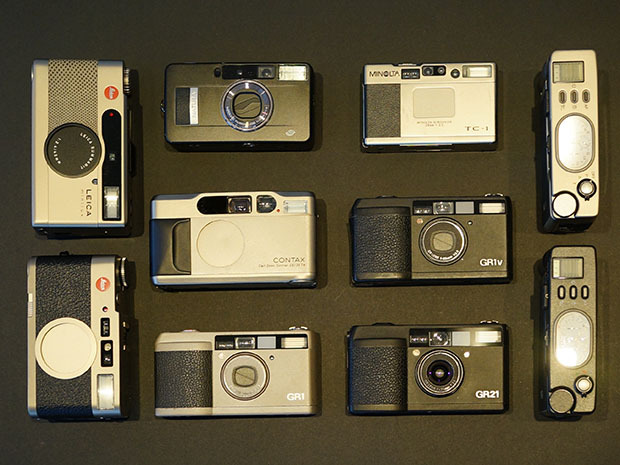 Other standouts include the Olympus Stylus Epic I and II, the Yashica T4 Super/T5 with waist level finder, the Konica Big Mini series and Pentax Espio Mini/ UC-1. The FujiFilm Natura 1.9 has a wide and fast 24mm 6 f/1.9 lens. 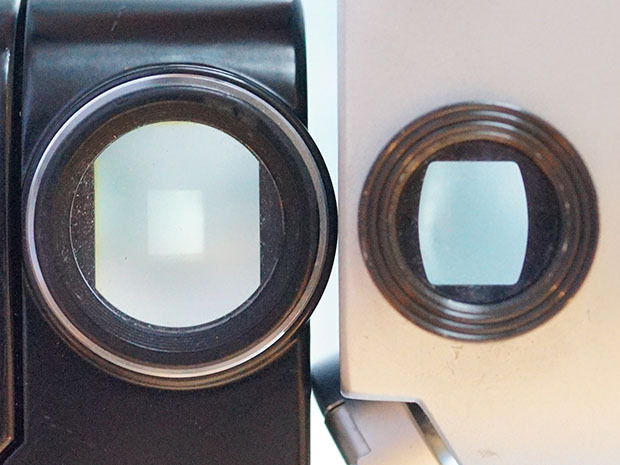 These cameras have great optics, but offer less user control. For a more detailed review of premium compact cameras, please refer to Bellamy’s review. I would also include some medium format cameras in this category, being small (OK, not that small) autofocus point and shoots capable of delivering high quality images. 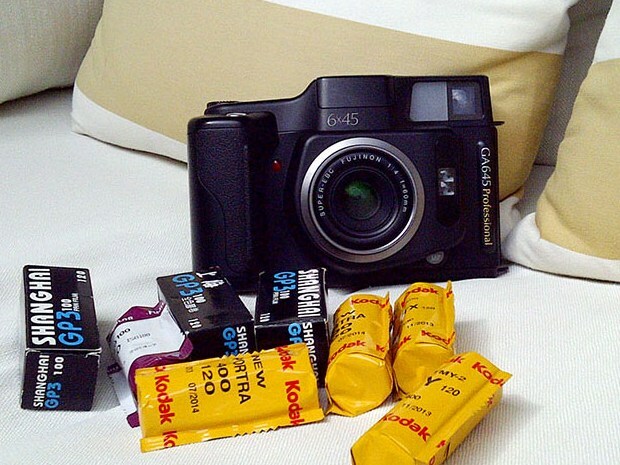 One such example is the FujiFilm GA645, an effective and economical professional tool. An SLR allows you to compose an image looking through the lens. This has great advantages when working close-up or with filters. SLR cameras are the film equivalent to the DSLR. Some film-era systems are even compatible with DSLR bodies and your existing digital system may determine your choice. The Nikon AI and AF-D lenses, for example will work on a Nikon DSLR. They will also work on a Canon EOS DSLR with an adaptor, albeit without autofocussing, as will Minolta MC and MD lenses and the excellent Leica R lenses. Old Pentax PK manual focus lenses work on modern Pentax PK bodies. The Canon FD lenses are a bit awkward, and prices reflect that, although they will work on a mirrorless system. 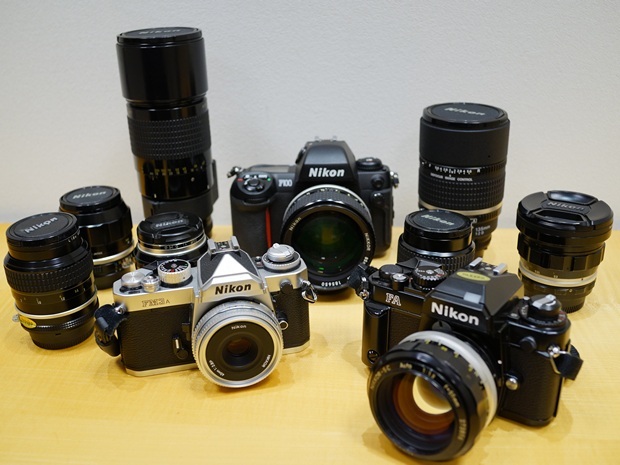 Given that I already Canon and Nikon bodies, I bought into the wonderful Nikon film SLRs and lenses. I have the FM3A, an electro-mechanical masterpiece, the sophisticated auto-focussing F100, the FA which is the only body to matrix meter with AI and AI-P lenses, and the simple and tiny EM. If money’s no object, buy Leica R lenses. A couple of years ago, these were really cheap on the second-hand market, but Canon digital users have now pushed the prices up. The most desirable Leica body is the mechanical R6.2. Film photography students not wanting to use their lenses on DSLRs will find the best value for money in a pre auto-focus Minolta or a Canon FD. I mustn’t leave out Olympus. I suspect there are photographers yet to be buried clutching an OM-4 Ti. Medium format SLRs like the Hasselblad were the mainstay of many a professional photographer. The greater film size makes all the difference to image quality, but I find them clunky and awkward. Better photographers than I will scoff at me, but they just can’t follow action as well and are more at home in the studio. A rangefinder camera has a viewfinder that does not look through the lens. 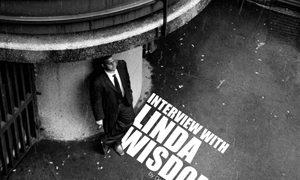 There are two windows on the front of the camera forming two images and when the photographer brings the subject into focus, the images line up. Rangefinders represent a step backward in history and a step upwards in skill. Yet many photographers consider them to be an extension of their consciousness and can grab an image faster then they can with an SLR. Everyone’s technique differs. Personally, I use a wide lens. I set the aperture, shutter speed and focus in the right ballpark then adjust only slightly or not at all as I shoot. It is best to shoot with both eyes open, if that suits you. Some rangefinders have a built-in meter, many do not. Only a few offer aperture-priority auto-exposure. Usually meters are simple, with centre-weighted metering. Only a few have spot metering. Multi-segment metering is unheard of. Available light snapshots and street shooting is this camera’s forte. Macro photos and flash photography is at best described as “possible”. Likewise, long lenses are uncommon and hard to use. The most famous rangefinder system is the Leica M, and many other brands made compatible cameras and lenses. Rangefinder lenses can also be used on digital M bodies and used lenses have risen in price, partly due to demand from mirrorless camera users. Due to the crop factor, wide lenses and large sensor bodies are recommended. While Leica remains top of the heap due to build quality and cachet, consider off-brands if you want to save money, or have features Leica doesn’t offer. My personal favourite is the Zeiss Ikon ZM which has an excellent finder and aperture priority AE as do some of the Cosina-Voigtlander Bessas. The Konica Hexar RF also sports a somewhat noisy motor drive. The Minolta CLE is an aging but capable small camera body. In the 1970’s there were many excellent rangefinders sold with an integral lens. 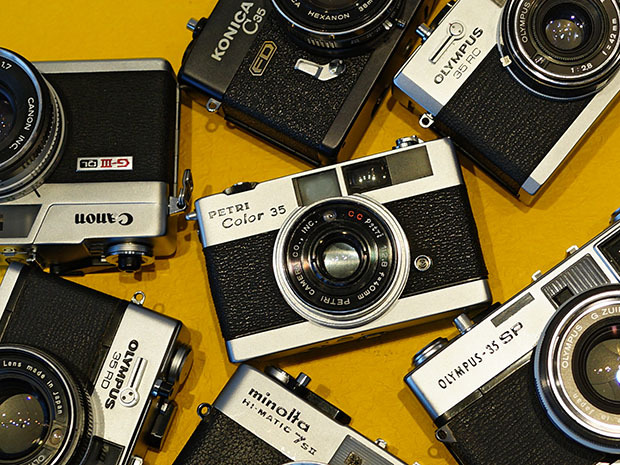 The best of the best, the so called “Seven Swords” are the Canon QL17 GIII, Konica Auto S3, Minolta 7SII, Olympus 35 RC, RD and SP and Petri Color 35, but the Yashicas also have a cult following. Often dismissed as as a poor man’s alternative to a rangefinder, some of the 70’s cameras eschewed the complex and expensive rangefinder. You must either guess the distance select the approximate focus zone by selecting a close-up, middle distance, or infinity focus. I love them, especially the zone focus cameras. 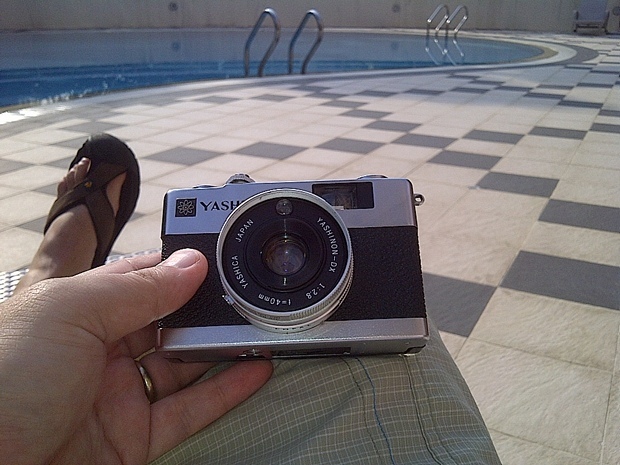 A tiny Yashica MC sits on my lap as I write by the pool. The finders are clear and operation so straightforward that for me, they offer more of the rangefinder experience than a rangefinder. The downside is less focussing accuracy, but then, if I wanted to take shallow depth of field photos on film, I would reach for an SLR, not a rangefinder. With a twin lens reflex camera, you compose and focus with one lens and take a photo through the other. These were capable snapshot cameras back in the day. Only the most modern had a meter. They didn’t have a pentaprism, so the image is reversed left to right and that takes a little getting used to. 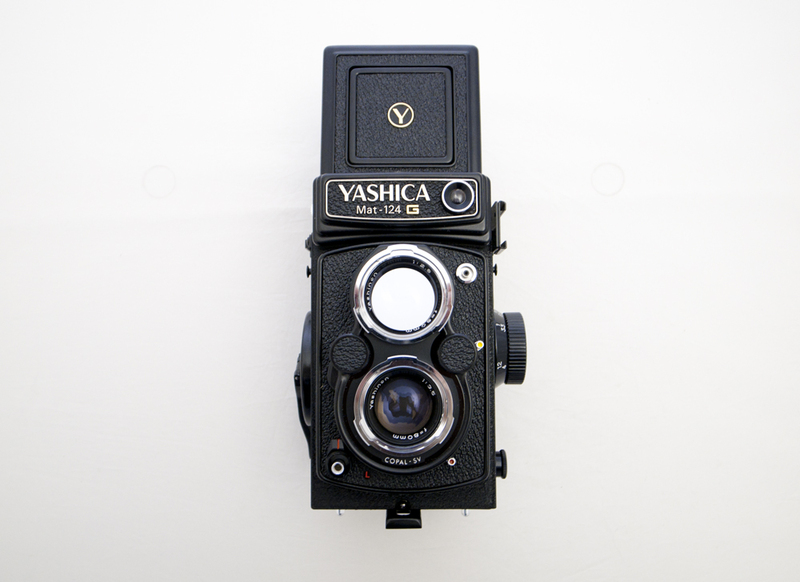 The waist level finder and square format gives a real old-school look. Back then, films were slower and more grainy, so most cameras were medium format. Interchangeable lenses are a rarity. The Rolleiflex 3.5GX is the camera that I aspire to own, but the Rolleicords and Minolta Autocords are well regarded. 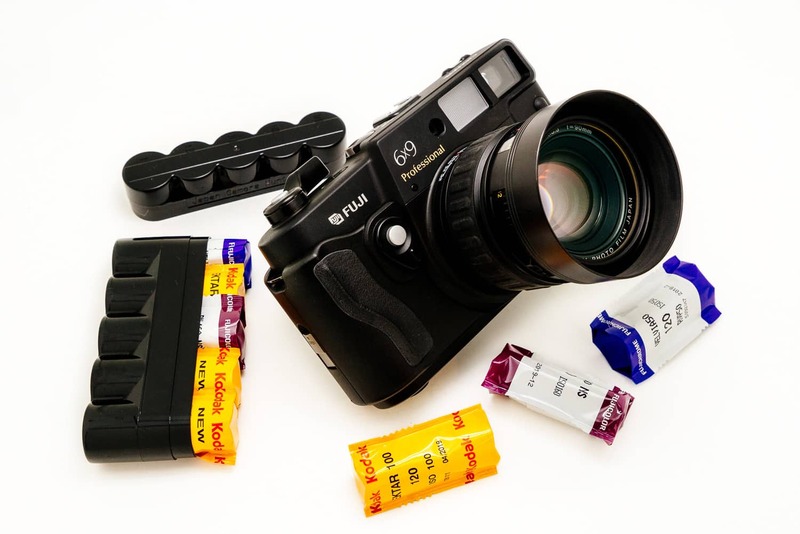 A compact alternative to the TLR is a folding camera. Generally, these were like a medium format version of a 70s scale focus or rangefinder camera with folding bellows. For me, the major drawback is the viewfinder quality. Despite their rudimentary technology, they will shock the heck out of you with their image quality. Available in various formats, the Zeiss Ikons and Bessas are the best known. There is a lot to go wrong, though. When you buy, you must check the shutter, focus, folding mechanism, light leaks, etc. A full CLA is recommended on the best models. As the film size increases, so does the image quality. Large format is the ultimate. 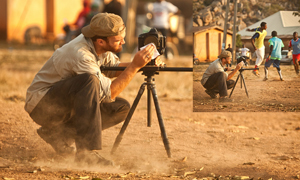 Many cameras also offer complex tilt, shift, swing and rise-fall movements. I won’t get into them here except to say that a grey beard and sandals seems to be de-rigeur among large format photographers. If you want to use your cameras, be careful to select a camera that takes a type of film that you can buy and develop. Cameras that take 135 film are the easiest to obtain film for and develop. 120/220 cameras can be a little more of a challenge, but nothing like large format. Instant film requires no developing. FujiFilm sells Instax Mini and Instax Wide integral instant film and medium format packfilm. Polaroid integral films were discontinued but reformulated by Impossible Project, and although the quality isn’t yet up to previous standards, many have come to love the new look. Other film formats are discontinued but available from eBay and specialist suppliers. Old stock of Advanced Photo System (APS) film can still be bought and most labs will develop it. The same applies to 127 rollfilm, 110 cartridges and Minox subminiature film. If you are determined, you can still use certain formats that are all but extinct, though making and using them can be a challenge. 620 rollfilm is the same as 120 on a different spindle. You can respool it from a roll of 120 in a darkroom. Some other formats can also be rolled by cutting from larger format films. Again, this requires a darkroom, but also equipment, skill and sometimes a little luck. Some formats would be all but impossible to revive. Typically, these come in cartridges and have been discontinued so long that the emulsions are very degraded. Examples include Disc and 126 cartridges. There are still some services that may be able to develop this film, but you are best advised not to use them for new projects. Leave these to the collectors. Digital photography is reliable and convenient, but film and film cameras are truly inspirational and represented a next step in my personal artistic evolution and collecting. I hope you will get as much out of film photography as I have. Buy wisely, as often a first purchase will lead you down the right or wrong path. Speak to the experts and if you don’t have extensive experience, have someone like Bellamy source or inspect your camera or lens before you buy. Bellamy’s mark-up is money well spent. If you haven’t already done so, please read my article Using Film and Digital and check back here for more instalments on this theme. Please comment below and give us your questions, feedback and insight. Comments can be more interesting than the article. You can follow Dan on his social networks. He always has something interesting to say about photography and cameras. How much did it cost you, Nelson? Wonderful article, and a real message here. My favorite Uncle Jim, who started me into photography when I was a kid, (and I am still loving it at 77) took zillions of pictures with his Bolsey B2 as far back as 1947. I just finished scanning hundreds of his Ektachrome slides, and B & W negatives, and they are still good. He also left to me, dozens of old B & W negatives from my fathers family taken in the 30’s. They are a history of my family which can never be replaced. Digital is great, but will anyone see them 65 or 70 years from now ? Wonderful article! I shoot with digital for its speed and efficiency however about a month ago i started a personal project going back to my roots by using film. I’m shooting with a Canon EOS 620 and it’s been incredibly enjoyable! Being able to touch my photographs and physically see them is something that i missed when using digital (although i scan the neg’s to publish online). I just wish i could get my hands on some in date KodaChrome and a lab that will process it! Thanks for increasing the resale value of all cameras mentioned Dan ;) Lovely article. Thanks for the nice reading! I started out with digital back with the D100 from Nikon.. Quickly got myself a film body from nikon and started shooting.. Now I have a whole collection of film cameras incl. mamiya 645, Canonet QL17, konica C35 and many more. I am really into old rangefinder but still haven’t gotten myself a Leica. Can’t find a reasonable M that fits me! How do you like the Canonet QL17? I am thinking about getting one soon !! There are some great cameras mentioned in this post. I’d also recommend people take a look at the Olympus XA. It’s a fantastic little camera with a great design and nice lens. Personally I rate the Konica Auto S2 or its rarer sibling the Auto S1.6 ahead of the S3 due to the greater degree of manual control available without sacrificing shutter priority auto exposure for those who want it. Yes they are larger than the S3, but not unwieldy. I’m also quite surprised not to see the various Rollei 35s receive a mention. They are both compact and scale focus and capable of first rate image quality but seem to have been forgotten. A good read otherwise. I own a Rollei 35S and it has sat for the last six months on the shelf at a consignment seller in Hong Kong. I didn’t mention it because I think it unsuitable for someone’s first film camera, due to its fiddly and idiosyncratic controls. A better choice would be a Petri Color 35. Where the Rollei 35 excels is the sharp optics, particularly the Sonnar. I wonder if the lens could be stripped out and converted to collapsing screw mount. It would pair well with the Minolta CLE. I like the Rollei 35 collection, but it does have limitations. As my first camera, experimentation went along slowly. Hundreds of other cameras offer better options for novice use. I do find a use for the Rollei 35 when absolute minimum gear is the only priority. Great for concerts or quiet street photography –although I am zone focusing and metering infrequently. It’s a nice option the have available. And yes, the lenses provide fantastic results. Often 8×10 prints pop off the paper. Great article. 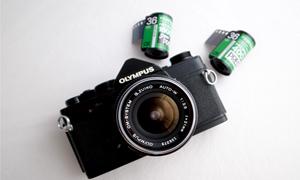 I would personally recommend Olympus film SLR cameras. Either the single or double digit models. They are cheap and easy to buy, user friendly and small and light to carry around. There are plenty of lenses which can be bought cheaply and the optical quality is good.